Enjoy a lecture by Dr Elaine Murphy, Associate Head of School – History and Art History at the University of Plymouth. The civil wars in England, Scotland and Ireland in the period 1638-1653 are usually viewed from the perspective of land warfare. In her recent book, The British Civil Wars at Sea, 1638-1653, Dr Murphy and Dr Richard Blakemore presented the first comprehensive overview of the civil wars of the 1640s from a maritime perspective. 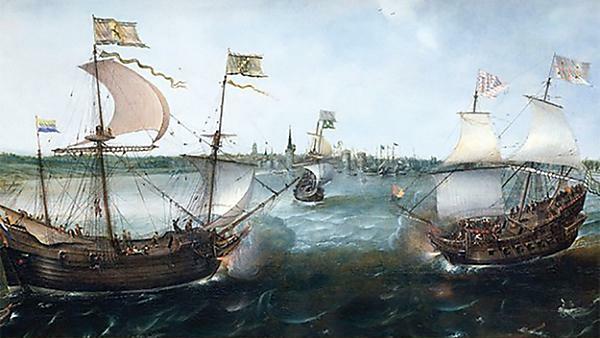 It traced the development of the wars at sea, showing that the initial opting for parliament by seamen and officers in 1642 was a crucial development, as was the mutiny and defection of part of the parliamentarian navy in 1648. It demonstrated clearly that the war at sea was an integral and important part of these dramatic conflicts. This talk is free to attend and there is no need to book. Contact info@plymouthathenaeum.co.uk or call 01752 266079 for further details.